I’ve been asked to write something about nutrition from one of my regular readers. I’ve been reluctant to do so, firstly because I don’t consider myself to have any expertise in this area and secondly because it seems that writing about nutrition is a good way to get some people’s backs up. Still, the person making the request has been such a great supporter of my blog that I feel I owe her this one. Let’s start with some important caveats. I don’t think anyone has come up with the definitive guide to human nutrition. Yes, there’s mountains of research and evidence of what nutritional deficiency looks like, but the jury is out on how best to nourish our bodies. It seems that for every piece of research recommending we eat something (or a combination of things) there’s another piece of research telling us to avoid exactly the same things. It’s frustrating. I can remember when eggs were off the menu and we were all supposed to increase the amount of whole grains in our diet. Now grains are out and eggs are back and butter is a superfood. Chances are that anything I write today about nutrition will be obsolete by next year, assuming it had any relevance at all. I also think my friend, Cat, has the best advice about nutrition; we are all different. What works for one person may be poison for another. Human beings are incredibly complex organisms. Actually, we’re not even individual organisms. Each of us is a collective of bacteria, symbiotic organisms and parasites that feed on us. Our DNA has been affected by the things our bodies have been through and also by the things our ancestors were exposed to. As an example, it turns out that my ability to digest dairy products is directly related to my ancestors keeping cows in the house. Amazing. If your ancestors were rice growers or camel herders then you might not be able to digest dairy at all. The risk with nutrition is that we can become obsessive about it. As a cancer survivor I understand this. Food is one of the few things I can control and I recognise my own desire to see it as a way to prevent cancer coming back. This idea is much more appealing that the thought that there is nothing I can do that will make any difference at all. I really do think good nutrition will make a difference to my odds, but I also accept that it’s possible to do everything ‘right’ and to still have cancer come back. Cancer is like that. I’ve decided to pay more attention to what goes into my mouth because I want to be as fit and healthy as I can be. That’s the foundation for my interest in good nutrition. Regular readers will know that my investigative background makes me highly skeptical about anything that isn’t backed by decent research (and just a little skeptical about things that are; a lot of nutrition research is funded by those with vested interests). I’ve done some reading and reached some tentative conclusions. This is the current state of my thinking on nutrition. 1. I love my body as it is, right now. I will not beat myself up over the extra kilos I gained during chemotherapy or the extra kilos I had before I started treatment. My body has done an amazing job of fighting cancer. I love it. Scars and all. I think all good nutrition starts here. 2. I don’t care about scales or the BMI chart. I can determine whether or not I am a healthy weight by how I feel in my clothes and how easily I can climb a flight of stairs. Around about the middle of a size twelve is a good size for me (I’m about 5’6″). At a size 12 the BMI chart says I’m overweight. Screw you BMI! 3. I recognise that the stress associated with trying to meet some arbitrary standard of thinness is a major cause of weight gain. Stress hormones cause people to store fat. Same goes for other sources of stress in my life, including lack of sleep or anxiety. See also point 1 on this issue. 4. Not having enough water places my body under stress. My body reads dehydration as a threat and shifts my metabolism to protect my major organs and to hang on to as much fat as possible. What a good body it is, trying to keep me safe. I need to drink plenty of water to be healthy. 5. It doesn’t matter so much about the quantity of food I eat. What really matters is the quality. I’ve had times in my life where I counted calories and the weight wouldn’t shift. I know now that the poor quality of the food I was eating put my body under stress and caused it to store fat. I could eat a whole bucket of beautiful organic vegetables three times a day and I would NOT be overweight. See what I mean about quantity? The best thing about eating a high quality diet is that you can’t possibly over eat. 6. Poor nutrition is a major source of hunger. Calorie counting (or as my Weight Watcher’s co-ordinator called it ‘points counting’) is pointless if the calories reside in poor quality food. My wonderful, clever body knew I wasn’t getting enough essential nutrients and so it told me to eat more. Unfortunately I tended to scramble this signal and respond with the wrong kind of food. Figuring this one out meant never being hungry again. Really. Never. 7. Low fat diets and most low fat foods are unhealthy and place the body under stress. You’ve figured out by now what I think the major cause of weight gain is likely to be, haven’t you. Yes. Stress. Healthy fats are essential to good health. They help us absorb essential nutrients and they also help us to feel satisfied. That’s why you’re hungry all the time on a low fat diet. Your body is trying to tell you that you NEED fat to be healthy. 8. Most of us need to eat at a lot more vegetables. Loads more. Heaps more. And a couple of pieces of fruit every day. The great thing about vegetables is that you really can eat as much of them as you want. Pile your plate high and dig in. I buy as much organic, locally grown produce as I can. I’m also lucky enough to have a garden. Even commercially farmed vegetables will give your body more nutrition than processed ‘diet’ food. 9. The ‘food pyramid’ is nonsense and likely the product of some serious lobbying by some members of the food industry. How many serves of grains and cereals in a day? Really? Let’s be clear. Nobody ever died of a grain deficiency. Many people are gluten intolerant and many others find that foods like bread and biscuits trigger overeating. Your body needs fresh vegetables and some protein. Have a look at the diets of people in some of the harshest places on earth, like desserts and arctic areas. Okay, I’m not switching to seal fat and herbs but my point is that it’s possible for humans to thrive on nothing else. 10. The food industry is worth billions of dollars. 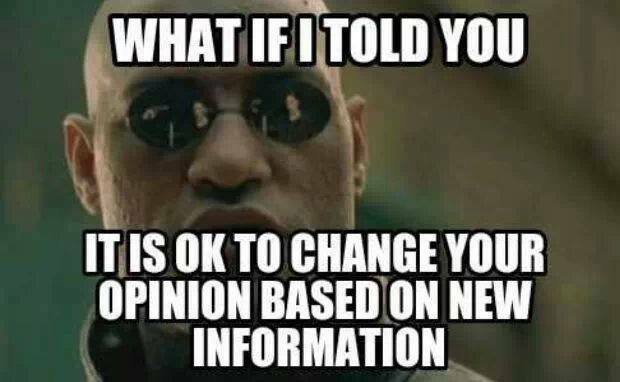 Lots of people have a vested interest in convincing you to buy their particular version of ‘nutrition’. Do your own research. Experiment with your own body. Figure out what works for you. It might be that you’ll be better without dairy, or gluten or you might be one of those people that feels best on the FODMAP diet, or the paleo diet. For me, ‘diet’ should be a word we use to describe how we eat all of the time, not a word used to describe a temporary restrictive eating plan designed to make us lose weight. 11. I have managed to figure out which foods make me feel satisfied and which foods help me to avoid bloating and digestive problems. I love my A2 dairy and although I’ve reduced gluten (because I’m eating a lot less of those foods that contain it) I don’t have any trouble digesting it. I love whole grains because they’re a great source of B vitamins and I love legumes as a meat free protein. I don’t understand how some diets can demonise grain and then recommend seeds because, as a gardener, I know that grains are….well, seeds! This is what works for me. Everyone needs to go through the process of figuring out what works for them. I like the idea that somewhere in my DNA is the code for your the best my body can be. I just need to feed myself properly to get back there. My approach has been moderate. If it can’t hurt and it might help I’ve included it. We’ve always loved healthy, organic food and now there’s an added emphasis on making sure we include hemp seed, tumeric, mushrooms, coconut oil, probiotic drinking yoghurt, water cress, walnuts, kale, parsley, broccoli, berries and bananas. I have read research that says organic food is no better for me but I think they missed the point. The appeal for me is what’s NOT in it. I have deliberately allowed myself to be pumped full of toxic chemicals. It seems sensible to me that I should do everything I can not to add to that burden. We’re eating grass fed, organic meat because it’s high in omega 3, and ‘ordinary’ meat isn’t because the cattle have been fed on grain. This is a really important difference because getting the balance of omega 3, 6 and 9 right is important in preventing and fighting cancer. The internet is full of claims about the ‘anti-cancer’ properties of certain foods. There’s some great academic research mixed in with some ridiculous claims and some vested interests; Why do people assume that pharmaceutical companies will mislead them but companies selling supplements won’t? I take vitamin D on any day that I haven’t been able to get 15 minutes of sun on my skin. I generally avoid supplements. I know that if I’m eating well I shouldn’t need them and I’m concerned that some supplements can throw my system completely out of whack. It’s a bit like fertiliser and plants. It’s possible to have too much of a good thing. I also worry about where some of these supplements come from and how they are made. Food will always be my first choice. What I’m not doing is putting my body through the additional stress of any of the radical ‘anti cancer’ diets that are touted. I don’t plan on restricting my meals to fat and meat in order to ‘go ketogenic’ and I don’t plan on ingesting large quantities of carb soda with molasses in order to ‘alkalise’ my body. I won’t be fasting for days at a time or restricting my eating to just one or two foods. Right now my body needs nourishing with good, healthy food and some relaxation about the occasional treat. What I don’t need is to wage war on my body with food. A lot of these diets have noisy supporters. I support everyone’s right to do what they feel is best for them in the face of a cancer diagnosis. I’d need to see more convincing evidence that any of these extreme diets had an impact before I’d put my poor, recovering body through any of this torture. I have seen evidence of the benefits of eating less and fasting. New Scientist has had a series of articles on how reducing the amount you eat and lengthening the time between your last meal and breakfast can have measurable health benefits, but ‘eating less’ does not mean starving yourself and the gap between meals means cutting out night time snacks and not rushing to have breakfast, rather than spending days drinking lemon juice. I haven’t measured my food intake but I have noticed that by improving the quality of my food I’m naturally eating less. I just don’t feel hungry. My usual pattern is to have coffee when I get up but to put breakfast off until about 10.00am, when I feel like eating. I’ll have something light and nourishing around 2.00pm or 3.00pm (if I’m not meeting a girlfriend for lunch) and this often includes a piece of fruit and lots of leafy greens. Yes, I have discovered the benefits of the green smoothie. Dinner tends to be my biggest meal of the day because this is when my husband and I get to sit down together. I’m eating mindfully, taking time to really enjoy what I’m eating and to appreciate where it’s come from. I’m trying (not always succeeding) to avoid doing anything else while I’m eating. Distracted eating usually means over-eating. I’m gradually increasing my physical activity and although I’m still tired, I’m slowly regaining my strength. I’ve also given up all but the very occasional alcoholic drink. That stuff is poison. I finished treatment at the beginning of April and it’s almost the end of May. I’m back in my size 12 jeans. I’m eating well and feeling great. People tell me I look fitter and younger that I did before treatment. Wouldn’t it be great if we could find a way for that to happen to everyone that goes through this? So, that’s my brain dump on nutrition. I hope you find it interesting and that it gets you thinking about what you put in your body. I don’t know if it’s possible to eat cancer to death but it’s certainly possible to eat ourselves well, and why wouldn’t we want to be as healthy as it’s possible to be? PS: I woke up this morning and wanted to add this last piece of advice: If your gut isn’t healthy you won’t be able to process food properly and you’ll always be hungry. Chemotherapy and medications (especially antibiotics) strip our bodies of the healthy bacteria that should populate our gut. I use Babushka kefir drinking yoghurt to repopulate my gut and get rid of nausea, bloating and poor digestion. You can also use naturally fermented vegetables, natural yoghurt or probiotic supplements. Flavoured yoghurt is full of sugar so I don’t eat it. It still fascinates me that when I ‘fought’ my weight I had no success and when I let go and just started loving my body everything somehow fell into place and the weight came off, slowly and steadily, without me needing to ‘go on a diet’. All of the changes I have made are permanent. My body is still dropping weight but more slowly than before. I know that I’ll reach a kind of equilibrium in the next few months and that whatever I weigh when I get there will be my ‘correct’ weight. It shocks a lot of people, given my previous employment as a NSW Police Superintendent, to learn that I support law reform in relation to Cannabis. There’s an assumption that all police oppose drug law reform. This is incorrect. Police see first hand the consequences of ‘the war on drugs’ and the futility of an enforcement based approach. Many wonder if we shouldn’t have the same kind of shift that happened many years ago with alcohol. Remember when ‘drunks’ used to get locked up for the night? Now excess alcohol consumption is considered a health issue. In July last year I was diagnosed with triple negative breast cancer. It’s more aggressive that other forms of breast cancer and has a worse prognosis. As a consequence of my diagnosis I’ve been researching medical cannabis. I’ve discovered that breast cancer, particularly triple negative breast cancer, might respond to treatment with cannabis. I’ve spent many hours watching YouTube videos of people claiming their cancer was completely cured using cannabis oil (also called ‘Rick Simpson Oil’) and I’ve waded through several dozen research papers. I think those claiming that cannabis kills cancer need to modify their claim to ‘cannabis kills some cancers’ and I do wish they didn’t feel the need to completely denigrate all forms of mainstream treatment, but it’s very clear that there’s a growing body of evidence to support their claims. I support any reforms to our legislation that will make cannabis available for medical use. You will appreciate that given my background and my long history of opposing illegal drug use, I have not come easily to this decision. The evidence is compelling. Cannabis, in some circumstances, kills some cancers. It also helps people cope with the side effects of chemotherapy and provides better palliative pain relief for some people than the alternatives. I’ve been following, with interest, the work of the parliamentary committee into medical cannabis use. The Police Force, via The Commander of the NSW Police Drug Squad, Detective Superintendent Nick Bingham, expressed concerns that making cannabis medically available would increase illegal drug use. Their concerned that it will ‘leak’ into the community. In spite of police force opposition, the committee unanimously recommended that cannabis should be made legally available to terminally ill people. Unfortunately, the State Government rejected the committee’s recommendations. There’s a bucket of words they used to defend their decision but it’s just pollie-speak so I won’t insult your intelligence or waste your time quoting it. After appointing a committee to wade through the mountains of evidence and listen to patients, doctors, advocates and detractors the committee did what they were supposed to do and made evidence-based recommendations. For political reasons their recommendations were rejected. I know that these changes would only have been of benefit to me if (when) I am close to death but having seen my father’s reaction to morphine (paranoia, anorexia and feeling like he had insects crawling under his skin) prior to his death from cancer, I know that would be a big improvement on what’s currently available in palliative care. I do not dispute that cannabis is abused but the evidence is clear that it provides some people a better and safer form of pain relief than commercially available drugs. It has less side effects and is better tolerated. Medically available pain killers are also the subject of wide spread abuse, but we do not make them illegal on that basis. These drugs are stronger and more dangerous that cannabis, and overdose can be fatal. It seems unreasonable to deny terminally ill patients a safe form of medication because of the abuse by some people, when drugs that are far more dangerous are legally available in spite of abuse. It also demonstrates a chronic lack of compassion. Prohibition does not prevent drug abuse (or we wouldn’t need a drug squad). Legalisation for a specific section of the community does not undermine enforcement. As an example, consider steroids. They are widely abused by body builders but their benefits to sick people mean that we can still get them on prescription. They are not banned just because some people misuse them. I would argue that the same ‘greater good’ standard should apply with regard to medical cannabis. The benefits of cannabis to critically ill people outweigh the risks associated with illegal use. I would add that cannabis abuse, unlike pharmaceutical abuse, is never fatal. The current legislation is not preventing sick people from using cannabis. Spend some time in the waiting room of any oncologist and it isn’t long before people are telling you about how they purchased their vaporiser or where they get their cannabis. In my case, these people are middle-aged women with breast cancer and no previous history of drug abuse. Some of them talk about how they almost gave up chemotherapy and then found cannabis relieved their chronic nausea. Go online and it’s not too difficult to locate people in other jurisdictions that are happy to offer you cannabis products, and happy to send them into this jurisdiction. There are several sites promoting ‘Rick Simpson’s Oil’ and several more extolling the virtues of cannabis for curing everything from multiple sclerosis to epilepsy. There is information on making your own cannabis oil and advice on how to locate suppliers. For those unencumbered by a twenty year police history and the accompanying respect for the rule of law, cannabis and cannabis products are easily obtained. Many of the people involved in the production and distribution of cannabis products do so out of compassion. Some of them don’t even ask for payment. There’s a cluster of different communities out there, all sharing names, advice and precautions. If you wanted to obtain cannabis oil to treat cancer you could probably do so within a week, just by roaming Facebook and asking politely. Assuming you couldn’t get it locally. In spite of my background, I’ve had three different friends offer to supply me with cannabis (much to my surprise). It turns out that it is widely used as a recreation drug by people not usually associated with drug abuse. You wouldn’t pick any of these people as ‘dope smokers’. I was fortunate. I did not have nausea with my chemotherapy. If I had been so ill that I couldn’t eat and cannabis relieved this, would I have used it? Absolutely. Cannabis seed is also easy to find and easy to import. The internet has all of the information you need to successfully grow your own, or to find someone to supply you. There’s even ‘medical seeds’ available, with lower THC (the stuff that gets you high) and higher CBD. Contrary to some people’s views, those using medical cannabis generally want to avoid the recreational effects. Ask any high school teacher about the availability of cannabis for recreational use. Do you know what they’ll tell you? Kids have no trouble getting it if they want it. So my strongest argument against Nick’s claim is this: the legislation is unlikely to cause ‘leakage’ into the community because cannabis is already so widely available that the change in legislation will have little impact upon supply. What it will change is the criminalisation of patients and their carers. I appreciate that this is not a politically palatable response but it is the truth. Of course, not all of the people offering cannabis oil or cannabis products are genuine. Because people wishing to use cannabis oil need to break the law to do it they are easy prey for criminals. Fortunately, the Facebook community groups are very good at naming and exposing fraudulent sellers, but you need to be a member of those groups to access that information. A lot of people searching for cannabis oil on the internet are desperate. They don’t have time to join forums or conduct research. Some of them have forked out thousands for industrial hemp oil worth a few dollars. Others send money and never receive any product. It’s risky, and financially draining, at a time when people least need this kind of stress. Legislation would undermine the criminals. There’s plenty of information available about how to make your own cannabis oil. It’s not difficult, but it is dangerous as it involves using highly flammable solvents. People have been seriously injured when a spark ignites the whole lot and a fireball engulfs them. Legislation would allow for safe manufacture. People will continue to buy cannabis oil, or make it, and use it, in spite of it being illegal. It surprises me that people in positions of power have so little empathy. If they had terminal cancer, or someone they loved had terminal cancer, and they knew cannabis would ease their pain more effectively than prescription drugs wouldn’t they break the law to get some? How about this question; if you or someone you loved was diagnosed with cancer and you formed the opinion, based on your research, that cannabis oil might actually cure that cancer would you use it? This debate is less about whether or not sick people will use cannabis and more about the conditions under which they will use it. At present, people choosing to use cannabis have the additional stress of worrying about where they will obtain a regular supply and what will happen if they are arrested. At a time when these families already have so much to be anxious about, making cannabis legally available to them would be an act of compassion. There’s a flip side to the current legislation. Many people who would benefit from cannabis are not even prepared to try it while it remains illegal. In some cases this means giving up chemotherapy early because of nausea. In others it means enduring unnecessary pain and distress. If cannabis is conclusively proven to cure some cancers then there are people dying right now that might have been saved. As an additional supporting argument I offer the observation that many of the cannabis forums include stories of police officers acting compassionately when they detect cannabis possession by seriously ill people. These officers find themselves in a position where they judge the law to be bad law, and choose not to enforce it. They place themselves at professional risk by doing so. There are those that argue that cannabis has serious side effects for some people. Psychosis is the most often cited. Morphine causes acute paranoia in some people and it’s also highly addictive. We don’t ban it. We make sure it’s only available on prescription and that its use is monitored by medical professionals. Why not do the same for cannabis. There are also those that argue that legalising cannabis will be ‘the thin edge of the wedge’. They worry that legalising cannabis for medical use will somehow naturally lead to legalisation for recreational use. Just about the only thing that has ever been the thin edge of a wedge is the actual edge of an actual wedge. This argument is a fallacy. Things don’t just somehow magically get incorporated into legislation. It needs to go through parliament. That’s why we make our laws that way. I’d add that in Colorado the first measurable impact of their broad legalisation of cannabis has been a significant drop in youth suicide. It’s early days and I’m watching that state with interest. They might just change my mind about recreational legislation. There are those that worry about the lung cancer risk associated with smoking cannabis. It’s fair to say that smoking anything is bad for you. That’s why people using medical cannabis usually use a vaporiser or ingest the oil. There’s no need to smoke it. And, of course, if you’re terminally ill you’re probably not too worried about the long term side effects of anything. I hope my arguments have given you a basis on which you can lend your support to the availability of medical cannabis. I know that a large part of the obstacle to this legislation is public perception. Politicians are concerned over being seen to ‘go soft’ on illegal drugs. In this regard, I think pointing out that we don’t deny morphine to terminally ill people just because some people abuse morphine is, perhaps, the best response. It is my fervent hope that we see a change in legislation and that it will open the way for much needed research into the potential benefits of this plant. It may well hold the cure for many cancers and is already being used overseas to treat children with epilepsy and Dravetts syndrome. It is unlikely that there is sufficient time for any of this research to be of direct benefit to me but cancer is hereditary and I have a daughter. PS: Alcohol is a group one carcinogen, proven to cause a whole raft of cancers. That’s not a reason to legalise cannabis. It’s just hypocritical to have alcohol so freely available when it’s of no possible benefit to anyone while cannabis remains illegal.